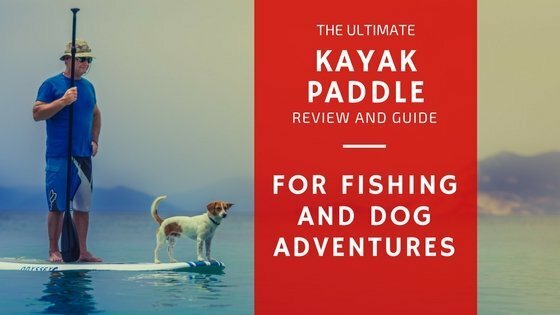 The best kayak paddle (s) reviewed! Whether you’re new to kayaking or an expert, the right paddle makes a massive difference. We look at the best. Whether you are a new or pro kayaker, you will soon discover the importance of the kayak paddle. And while choosing a good kayak is obviously important, the significance of choosing a good paddle shouldn’t be overlooked. There are many brands and styles of kayak paddles out there. Most of them are good enough to serve your needs. However, anything that’s too cheap may not be made well. Spending a little bit more money may help a great kayak paddle that offers value for money. The good news is that we have done all the hard work and done extensive research to give a selection of the best products and a guide to buy the best paddle. Shoreline Marine Kayak Paddle Rounded 96\"
Multi-laminate fiberglass blades are lightweight and durable. Kayak paddles are generally classified depending on the shape of blades, and the market has plenty of offerings. Several factors affect the ultimate shape that’s best suited for your needs but before digging into that, here are few types of kayak paddles. A paddle blade is said to be symmetric if an imaginary line through the center creates sides that mirror each other. Asymmetrical blades are usually a different shape one side compared to the other. Symmetric blades are ideal for use in white waters and the high stroke kayaking technique. Asymmetrical blades are ideal for low angle stroking. Flat paddles are flat across the surface and may have a slight sweep blade or longitudinal curve to the blade. A rib may also be added down the center of the flat surface to add strength to the blade, as well as guide the flow of water and reduce flutter. Dihedral blades, on the other hand, have two plane faces. The lateral angle is designed to guide water flow and hence reduce flutter. They may also have a longitudinal curve like flat blades. These are very popular among racers. They feature a scoop-like design with rounded edge that allows for provision of lift along the backside. Adding a sweep through the cross-section (spoon) or along the axis (curve) affects the bite that a paddle has in water. The curved blade resembles a paddler’s hand during a power stroke and is specifically designed to provide an early catch. Spooned blades are usually designed more or less like a spoon. A feathered design means the one blade is at a different angle to the other. That means you need to twist your wrist and the angle of the blade for every stroke. If you have trouble twisting your wrist and you're mostly going to spend time on calm flat water and lakes choose a non feathered version. 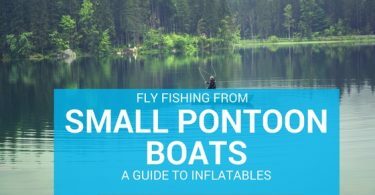 ​Once you start spending more time on the water upgrade to a feathered design as this will give you more control and speed if you need it. Frankly speaking, a well-established brand maintains production of high quality products that meet the needs of consumers. It maintains a standard that is superior to products by lesser known brands. 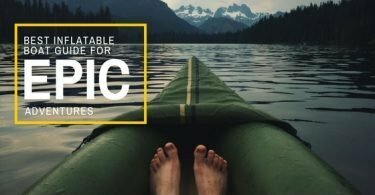 When it comes to kayak paddles, you can rest assured that buying from a reputable company is essential to ensuring that you get the best that the market has to offer for your inflatable boat. Aquabound has a long time heritage in kayaking and is therefore easy to see why it would make it to the top of the list. The company’s expertise in manufacturing highly efficient kayak paddles is unquestionable. Their paddles are super fun and easy to use, leading to a great experience for anglers. Some of the brand’s most popular paddles include the Aquabound Sting Ray Hybrid Paddle as well as the Aquabound Freedom Paddle. There is nothing quite satisfying like the feel of a lightweight yet durable paddle in your hands and that’s exactly what Werner offers. The company brand is known for its touring, recreational paddles for use in white water as well as for kids’ use. 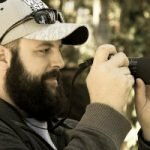 The company’s website even offers a comprehensive guide on how to select a kayak paddle of the right size. Werner paddles are made using fiberglass and carbon fiber. Common models include Sprite Paddle for kids and Camano which is ideal for long distance paddling. While it was considered the low-end brand a few decades ago, Carlisle has made massive improvements in production of kayak paddles making it a favorite among anglers. The Carlisle Magic is particularly great and ideal for long-distance paddling as well as new kayakers. The company offers a wide range of paddles that are lightweight and ideal for those looking for quality at a decent price. We especially like their page on how to choose a paddle - it's worth a read!